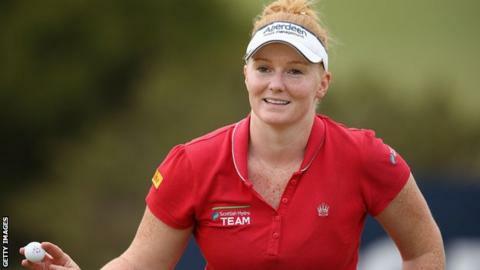 Glasgow's Kylie Walker has expressed her delight that Scotland will stage the 2019 Solheim Cup. The 29-year-old Ladies European Tour golfer hopes to make the Europe team to take on the United States in Iowa in 2017 and again at Gleneagles in 2019. "It's fantastic. I am absolutely delighted that Scotland has won the bid," she told BBC Radio Scotland. 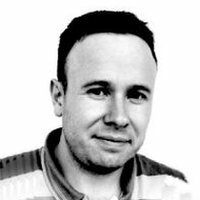 "I think EventScotland and Scottish Golf have done a really good job. Gleneagles is a brilliant venue." A dip in form meant Walker, who has two European Tour wins, missed out on playing for Europe in Germany this summer, where they lost by a point. But she now has the event in Des Moines in two years' time in her sights as a staging post on the way to playing in her home country. "I did have a chance of getting in this year's team but I didn't play well enough through June and July, through the majors this year," she said. "I think, had I put in a good performance, I could have been in with a shout. "It is time that we got the Solheim Cup again. Catriona Matthew has been in the team for the last 15-20 years so it is a great time to bring it to Scotland and the girls are coming through quite nicely on tour just now as well. "Hopefully we can put a good few players in the team to get there on their own right and make it a good event for Scotland. "I really want to get in the team, certainly for 2017, but Gleneagles 2019 is absolutely a big goal for me and I would love to be there." Walker predicts a "buzz" at the Perthshire course, just like what was created there for the Ryder Cup last year. And she is tipping Matthew, 46, to captain Europe, unless she is still performing well enough to be in the team in a playing capacity. "If Catriona doesn't make the team herself, she would be the perfect captain," she said. "But she is still by far the best player Scotland's got, in terms of world ranking and results."